If you thought libraries were just for books, think again: whether you’re into trivia games, sharing music, cooking Mexican food or just looking for a place to hang out after school, the Bainbridge Island Library has an opportunity for you! 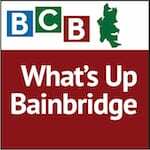 Listen here as Tressa Johnson, KRL Adult Services Librarian for the Bainbridge Branch, shares the library’s activity plans for September. Start your month with literary trivia at the Treehouse Cafe in Lynwood on September 3rd. Books on Tap starts at 7:30 with fun questions about 50 books, including best sellers and classics. Read up in advance by picking up the list at the library today! Eat Your Words is a cookbook book group: this month we’ll be studying Mexican Everyday by Rick Bayless. Come to the Intentional Table on Madrona Lane at 11 am on September 9 to learn some tricks and sample some treats. If you’re riding the 4:40 ferry from Seattle to Bainbridge on September 11, come join the Ferry Tales group to discuss Olympia Author Jim Lynch’s book, Truth like the Sun, which is set in Seattle in 1962 and 2001. Into ebooks? Come to classes on downloading free ebooks and audio from the library! The presentations, to be held Tuesday, September 9 and Saturday, September 13 at 10 am, will be followed by a hands-on lab. There are also activities for high school students every Monday afternoon starting at 2 pm. For more about these and other fun programs sponsored by the Bainbridge Library, visit http://www.krl.org the Kitsap Regional Library Website. Credits: BCB host: Joanna Pyle; BCB studio tech: Diane Landry; audio editor: Tim Bird; “What’s Up” music splash: Tim Bird; BCB ferry music: Dogfish Bay Studios; Podcast art: artopia creative.